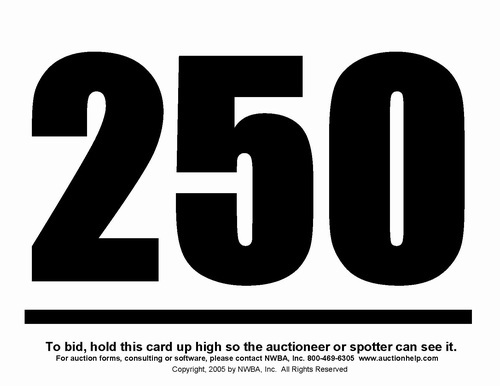 These bid cards are 8 1/2 inch by 5 1/2 inch and are great for smaller audiences under 300 where a compact size bid card is preferred.They are sold in pairs of like numbers (two cards per number) that are numbered on both sides. 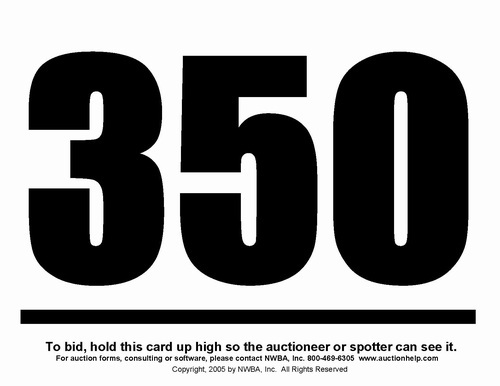 Our bid cards are printed on sturdy 90# card stock and include large, easy-to-read numbers. 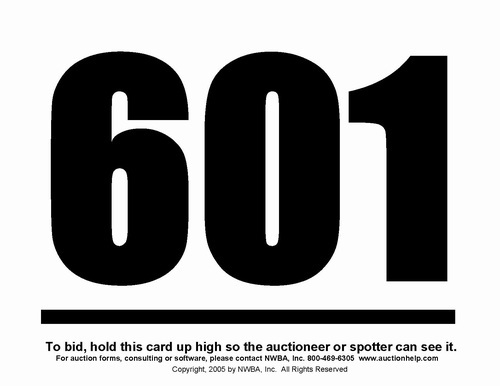 A line under the number allows the auctioneer to easily see whether the number is being held right side up or upside down, eliminating possible confusion. 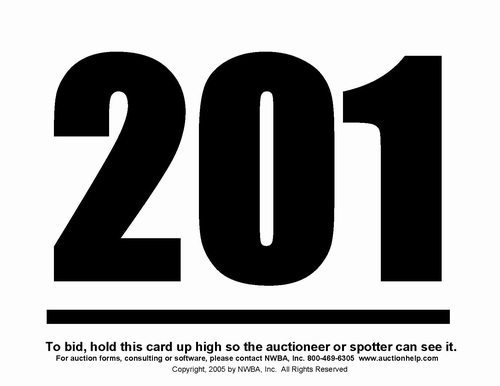 Attend our next Auction Workshop "Technology and Techniques"
Looking for how to professionally manage a very successful auction? 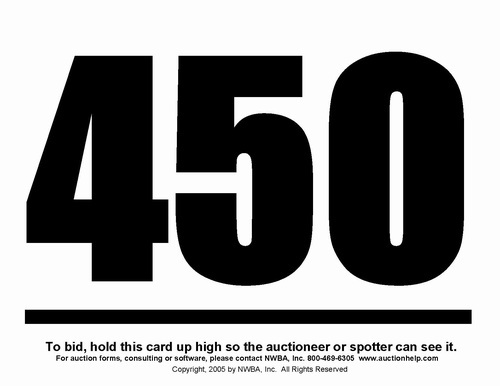 Get "The Big Book of Benefit Auctions"
Want to get great items without cold-calling? Get the "ABC's.." This handy help brochure is free! 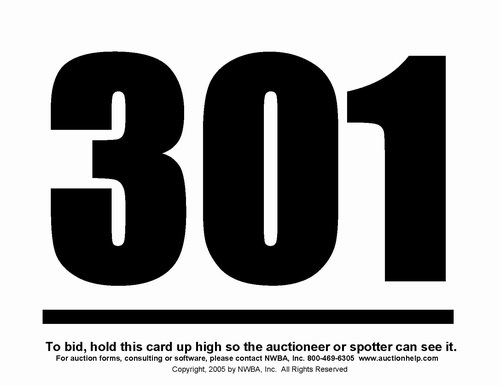 "The ABC's of Auction Procurement"
The following E-Books are not free, but really great resources, and are only $3.95 each. They are well worth it! If you would like a "hard copy" please contact us. We will mail you one for $5.00 plus $1.95 for postage. 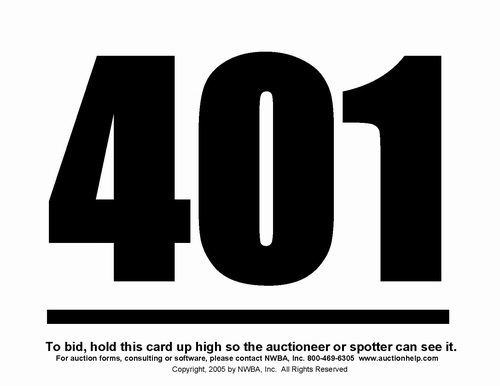 "Top Ten Pitfalls of Silent Auctions - and How to Fix Them!" 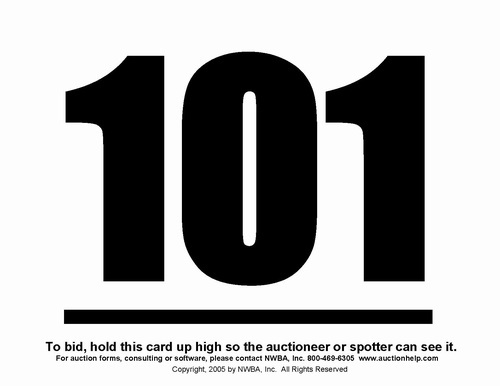 "The Top Ten Pitfalls of Live Auctions and How to Fix Them!" The Top Ten Pitfalls of Golf Tournaments and How to Fix Them! 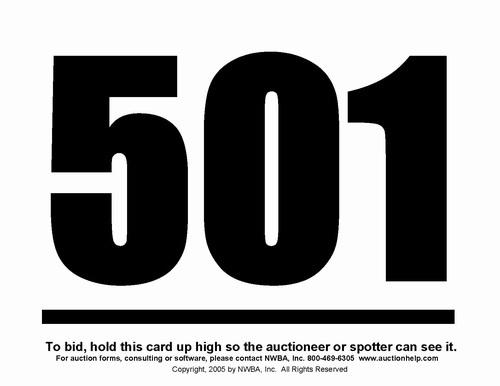 © 2019 Northwest Benefit Auctions. All Rights Reserved. Powered by VSM.